Wild Rose student participating in Christmas program. 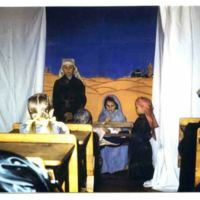 The picture is of the manger scene. Mary is played by Virginia Neufeld, Joseph is Gary Koehn, and Gary Epp is kneeling. Girl with braids watching is Glenda Koehn. 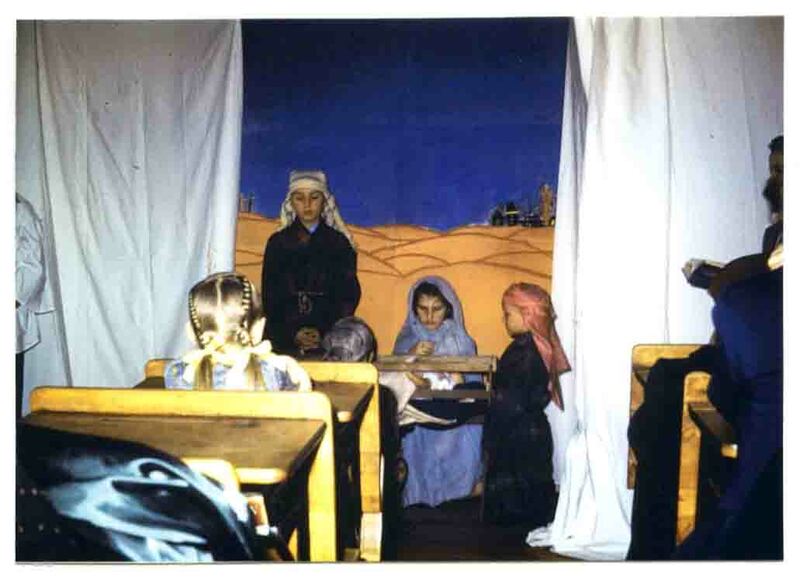 “Wild Rose Christmas Program,” Digital Halstead, accessed April 20, 2019, https://halstead.digitalsckls.info/item/78.